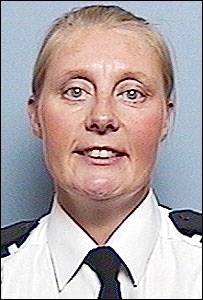 One of four men on trial over the death of Bradford Pc Sharon Beshenivsky has been convicted of her murder. Pc Beshenivsky, 38, was shot dead after a bungled robbery in November, 2005. Yusuf Abdillh Jamma, 20, of Whitmore Road, Small Heath, Birmingham, had admitted robbery and two firearms offences but had denied murder. Brothers Faisal and Hassan Razzaq were cleared of murder but convicted of manslaughter and Raza Ul-Haq Aslam, 25, was cleared of manslaughter and murder. A fifth man has already pleaded guilty to murder. Jamma was convicted following an 11-week trial at Newcastle Crown Court. He was found guilty of possessing a MAC-10 machine gun and a 9mm pistol with intent to endanger life, and two counts of possessing the firearms. He admitted robbery part-way through the trial. Aslam, of St Pancras Way, Kentish Town, north London, was cleared of all charges except for robbery, and the jury will be continuing its deliberations on that charge on Tuesday. Brothers Faisal Razzaq, 25, and Hassan Razzaq, 26, from Sebert Road, Forest Gate, east London, were found guilty of robbery but cleared of possessing firearms with intent to endanger life. Muzzaker Imtiaz Shah, of no fixed address, previously admitted murdering Pc Beshenivsky. Shah also admitted robbery and firearms offences. He was cleared of the attempted murder of Pc Beshenivsky's colleague Pc Teresa Milburn earlier in the trial. Pc Beshenivsky was shot and killed as she arrived at the Universal Express travel agents in Bradford city centre on 18 November 2005, the day of her youngest daughter's fourth birthday. Pc Milburn was seriously injured when she was gunned down in the street as the robbers escaped with little more than £5,000. Jamma told the jury he fired the fatal shot from the 9mm pistol, but did not intend to kill Pc Beshenivsky. He repeatedly denied the prosecution's suggestions that his version of events was a lie to help Muzzaker Shah get off the attempted murder of Pc Milburn. Aslam told the court he had no part in the robbery or murder and was simply "in the wrong place at the wrong time." He said he believed he was entitled to a £100,000 reward for helping police catch Pc Beshenivsky's killers because he rang Crimestoppers and passed on information. Faisal Razzaq admitted he was round the corner from the travel agents when the shootings took place but said he was at a takeaway and denied acting as a look-out. 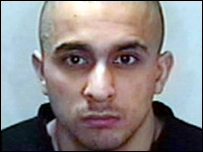 Hassan Razzaq was the only defendant who chose not to give evidence at the trial. 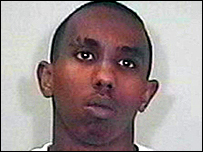 Two other suspects, Jamma's brother Mustaf and a man called Piran Ditta Khan, remain on the run from police.